My friend, fellow 4th year dental wife, and baby semi-twin (our boys are 2 months apart and our girls will be 6 weeks apart!) Kate had a baby shower for her little girl last night. 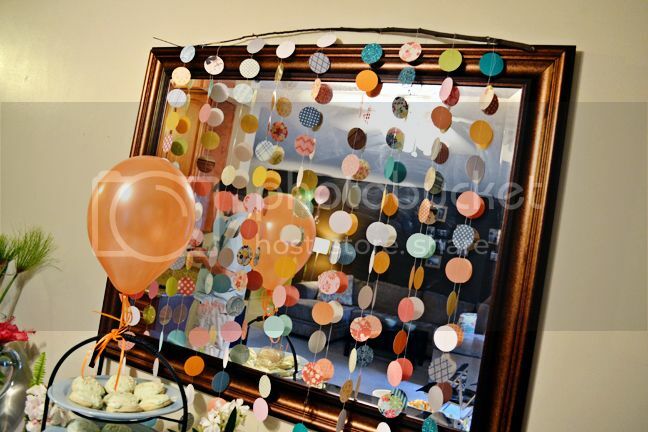 I volunteered to make some decorations which included a garland, balloons, and wildflowers (I also punched flower confetti, but I totally forgot to use it!). Beachy, summery, not-too girly, just right. Totally Kate! For the garland I punched a billion circles from patterned papers and transparencies and glitter papers, etc, in those colors and sewed them together in rows then dangled them from a branch I found outside. Easy peasy! For the balloons, well, that's pretty self-explanatory! 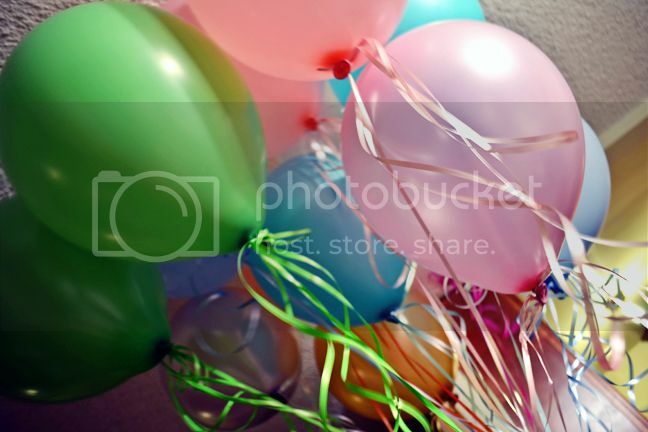 I just went to the party store and picked balloons in colors as close to the inspiration picture as possible. We grouped them into 3's and taped them all around Lindsay's apartment. I heart balloons. They complete every festivity. 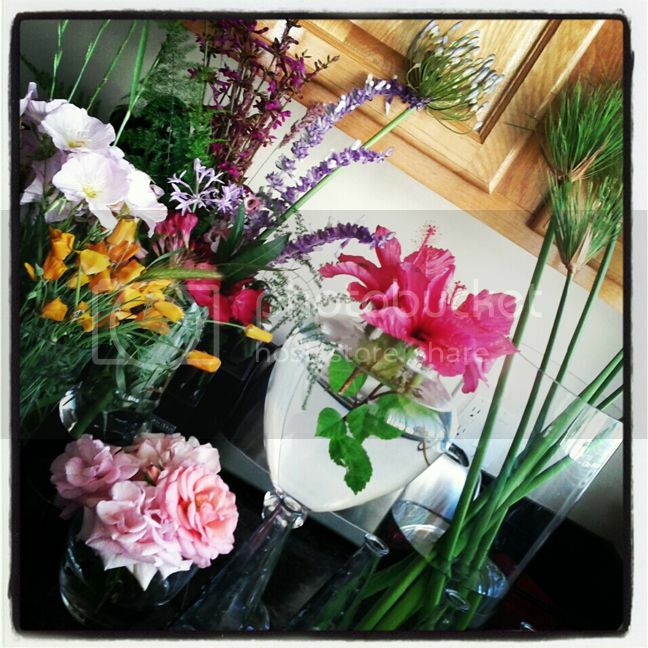 And finally, the flowers! For Fox's 1st birthday party extravaganza last October I purchased a whole bunch of apothecary jars and filled them with candy. Now empty, they just sit on top of our bookshelves, waiting to be used any chance they can get. 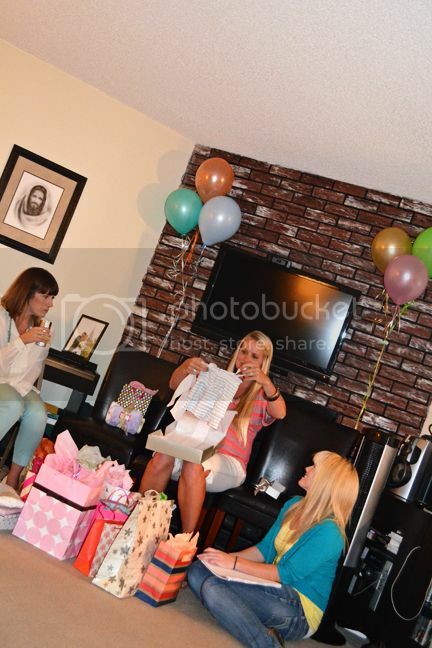 Enter baby shower! 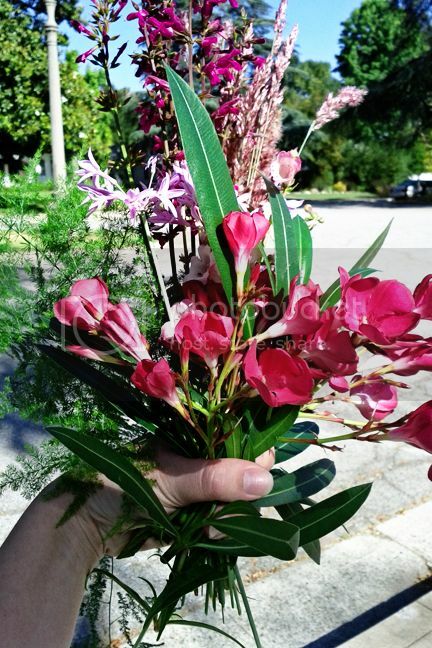 I walked around our yard and neighborhood and picked wildflowers galore. Side note: I'm not much of a flower person - Chris used to get me roses when we were dating and then I told him to stop cuz I thought they were a waste of money. But FREE flowers - now that's something I can hop on board with! 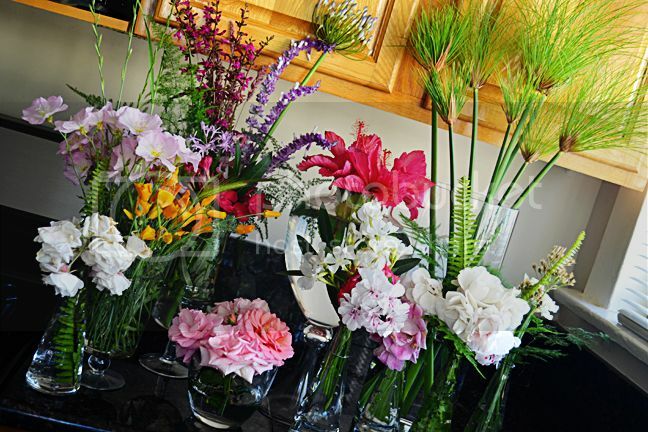 Not only free, but sooooo beautiful all bunched together in their different colors and varieties. 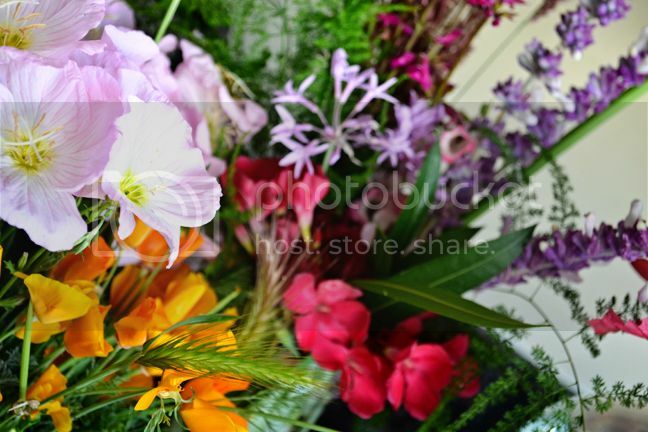 I think I may have a bouquet of wildflowers sitting on my desk forevermore. The shower itself was so fun! 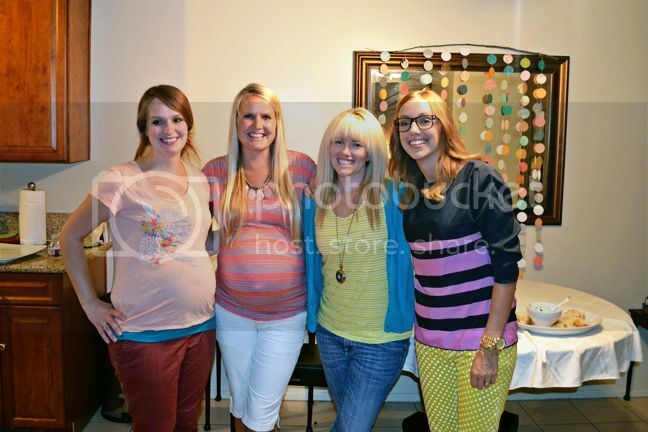 I just love hanging out with my lady-friends. 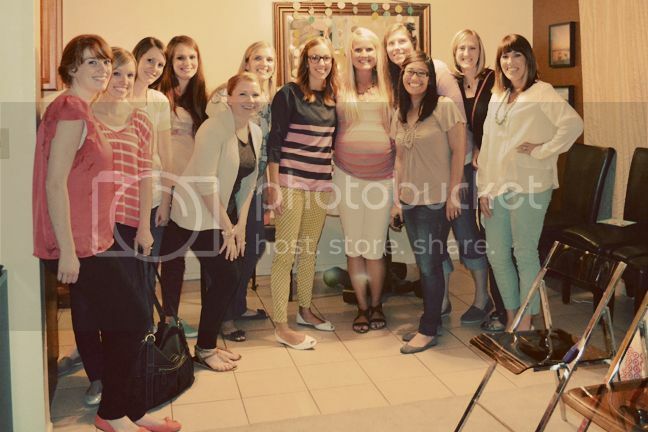 Congrats Kate - can't wait to meet your little girl in just a few weeks! thanks Paige! everything was perfect! you are so talented. And its true we are pregnant lady twins. Except...I"M HUGE!!! hahaha but its totally worth it. Can't wait to meet her. Thanks again!!! Congrats to Kate!! 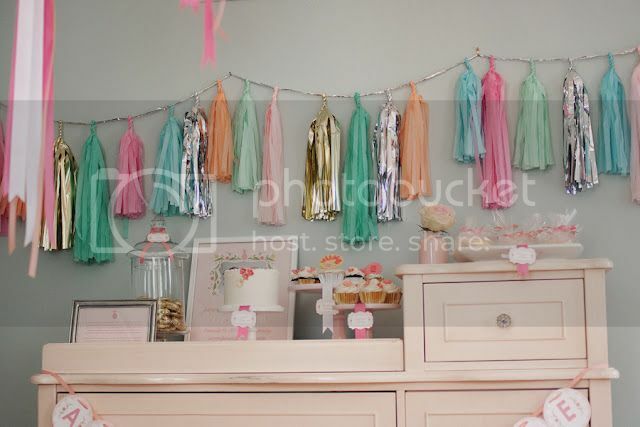 Super pretty decorations!